The supraspinatus (L. supra, above ; spina, spine [of scapula].) is the uppermost muscle of the rotator cuff. It is a synergist in shoulder abduction, being most active during the initial 15° of the range of motion. It also stabilizes the shoulder joint by compressing the humeral head into the glenoid fossa, counteracting the shearing superior force of the deltoid during arm elevation. The supraspinatus is classified as a scapulohumeral (intrinsic shoulder) muscle. It is found superior to the infraspinatus and deep to the upper trapezius fibers. 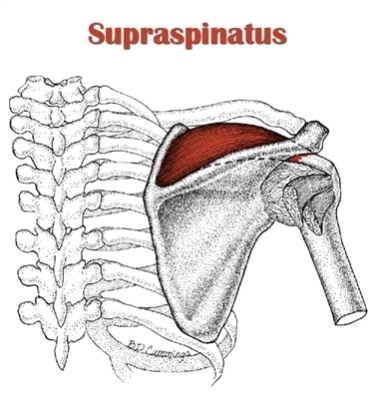 As its name suggests, the supraspinatus originates above the scapular spine. 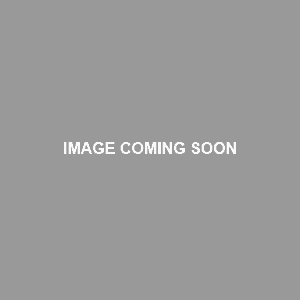 It extends laterally, crossing over the shoulder joint to insert on the greater tubercle. Its fibers are oriented obliquely between multiple tendinous septa within the muscle, forming a multipennate fiber arrangement. Note: The supraspinatus is the most commonly injured rotator cuff muscle. This is because the tendon is located atop the humeral head and beneath acromion process, so it is the first muscle to become damaged from impingement if the humeral head migrates up too far. Note: In the exercise table below, I did not include the relatively common “empty can” exercise. This is because it is done with the arm internally rotated, which makes impingement more likely. However, I have included the “full can” exercise. It trains the supraspinatus just as much, but it’s done in external rotation, which reduces the chance of impingement. Also, the chart below only contains the exercises that most directly target the supraspinatus. However, the muscle gets trained indirectly in lateral deltoid exercises. Weak Supraspinatus (due to injury): Supraspinatus weakness results from a shoulder injury (e.g. impingement syndrome, bursitis, tendinitis, tendinosis, partial or full-thickness tear, rupture). Such injuries are often brought on by a combination of overuse from excessive overhead activities, and poor scapular position/stability associated with upper crossed syndrome (i.e. scapula is protracted, downwardly rotated and anteriorly tilted). This scapular position causes two problems: first, it reduces the space between the supraspinatus tendon and the acromion; second, the external rotators, which normally depress the humeral head, become inhibited and excessively lengthened, allowing the humeral head to migrate up and jam the supraspinatus tendon into to the acromion. Overuse from too much overhead/arm elevation activity compounds the problem by increasing the frequency and intensity of damage from impingement. Note: The supraspinatus can also be overactive and short, despite being weak from injury. See your doctor for a formal diagnosis and rehab prescription. Don’t do anything in the list below if it conflicts with or differs from your doc’s prescribed treatment regimen. Avoid overhead exercises, dip variations and barbell bench press variations (dumbbell bench press with elbows in and a more neutral grip might be okay if it doesn’t cause pain). Avoid abduction exercises like the dumbbell lateral raise if they cause any pain or discomfort. If you can do them pain-free, use light weight since shoulder abduction against heavy resistance puts you at risk for shoulder subluxation when the supraspinatus is weak. Be sure to focus on the first 15° of the range of motion.Don’t use momentum to carry yourself through this initial part of the motion, since it is where the supraspinatus is most active. Use supraspinatus release techniques to release help break up any scar tissue around the supraspinatus muscle and tendon. This will increase the space between the supraspinatus tendon, thereby reducing impingement and improving range of motion. It will also increase blood flow to the area, allowing the area to heal more efficiently. Use a direct supraspinatus exercise to strengthen the muscle and rebuild the tendon. As mentioned earlier, avoid the empty can exercise since it can increase impingement. This leaves the side lying lateral raise and full can as your only choices – pick just one. Use light weight so you can focus on getting the muscle to start firing correctly again. Stay in the moderate to high rep range (e.g. 8-20 reps). If you have tendon damage, focus on the eccentric repetition. Eccentric loading is the best stimulus for rebuilding healthy tendon tissue. It may be helpful to using some form of assistance to raise your arm during the concentric rep.
Start with just 1-2 sets per day, up to 3 times per week, along with any other rehab exercises. Gradually increase increase weight, training volume and training frequency as you become stronger and pain lessens. Adding in another supraspinatus exercise may also be beneficial. 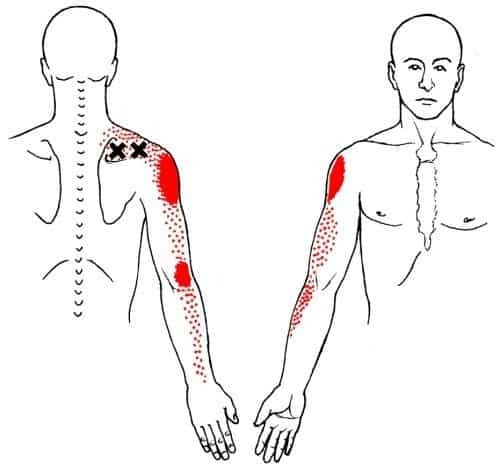 As mentioned earlier, the poor scapular position (and stability/mobility) associated with upper crossed syndrome may be the underlying cause of supraspinatus dysfunction in many instances. If this is the case, read how to fix upper crossed syndrome (article coming soon) and attack the problem from its root. If you don’t have any issues with your supraspinatus or other rotator cuff muscles, then you don’t have to worry about training it directly. Just do some maintenance training for your rotator cuff: a couple high-rep sets of dumbbell or cable internal rotations and external rotations, one to three times per week. Supraspinatus is innervated by the suprascapular nv. Not the subscapular nv.